“It is best to wait outside. There are men in here… In this café, there is no diversity.” — Male customer in a café in Sevran, on France 2 television.”In this café, there is no mixing. We are in Sevran, not Paris. Here there is a different mentality. It is like back home.” ­ — Another male customer in a café in Sevran, on France 2 television. Women seem “to have been erased”, from the cafés and the streets. “So now to avoid threats, and being put under pressure, they censor themselves and keep quiet.” — Caroline Sinz, journalist, France 2 television. This Islamization has been fueled and strengthened by Qatar’s heavy investments — particularly in mosques — in France, which currently stand at around $22 billion. French ministers feign surprise and outrage that women in these suburbs have finally succumbed to the incessant terror against them and are disappearing from the streets. 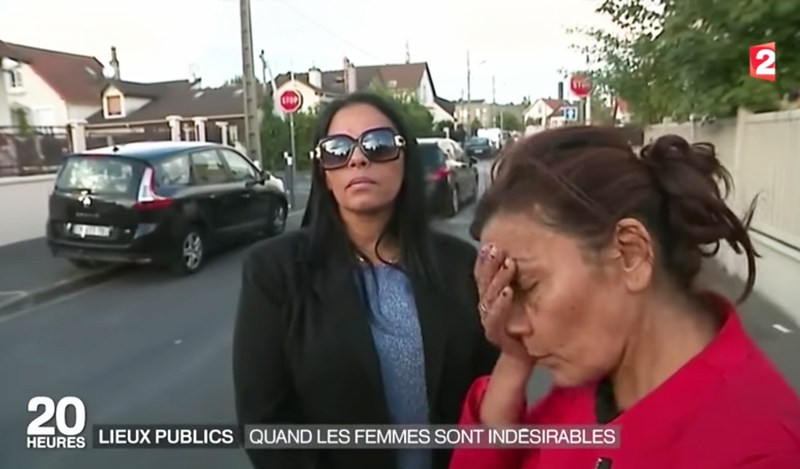 In a suburb of Lyon, France 2 TV journalist Caroline Sinz spoke to a young woman who said that she is quite simply afraid to go out, and wears baggy clothes and no makeup to avoid being targeted by the Muslim men in the neighborhood. 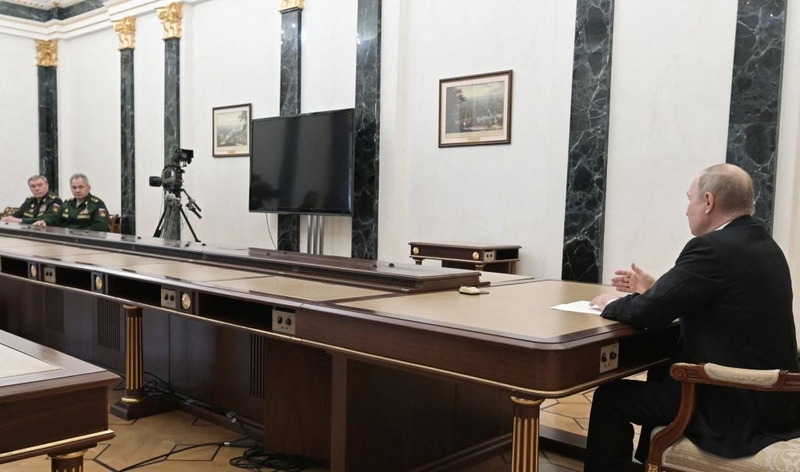 Axelle Lemaire, France’s Minister for Digital Affairs, and the first government official to comment on the footage, said the footage appeared to show an “intolerable” and “illegal” case of “discrimination against women”. However, she was quick to add that it was not a question of religion, and said that France’s Muslim communities should not be blamed. Lemaire’s comment about religion reveals, once more, the willful ignorance that so many in Europe’s political establishment display in their refusal to deal with the issues of Islamization. Sevran is part of the district of Seine-Saint-Denis, an area inhabited by over 600,000 Muslims, out of 1.4 million people. Already in 2011, a report by the highly respected political scientist and expert on Islam, Gilles Kepel, “Banlieue de la République” (“Suburb of the Republic”), showed that Seine-Saint-Denis, as well as other suburbs, were becoming parallel Islamic societies, increasingly cut off from the rest of French society. That women have now disappeared from the streets of Sevran cannot be divorced from the fact of the Islamization of these societies. This Islamization has been fueled and strengthened by Qatar’s heavy investments — particularly in mosques — in France during the past five years. These investments currently stand at around $22 billion. Investments in mosques are how Qatar is apparently spreading Wahhabism/Salafism — a particularly radical form of Islam — around the world. Islamic sharia law is quite clear on the role of the woman in Islam; French politicians might be well advised to open a Quran before they pronounce recent events as having “nothing to do with Islam.” The Quran states that a woman must obey her husband in all things [Quran 4:34] and that her role is in the home, where she should preferably stay, unless she has a legitimate errand to attend to outside the house [Quran 33:33]. In countries where sharia is the law of the land, as in Saudi Arabia, a woman cannot leave the home without permission of her husband. Considering the subservient role of women in sharia law, it is only a natural development that those French suburbs that have become Islamized and where sharia is held in high regard, now resemble Saudi Arabia. The cumulative effects of Islamization, supported with Qatari money and influence, can come as a surprise only to those political and cultural elites who stubbornly refuse to acknowledge and deal with the realities. “There are areas in our territory where women are not accepted, where they are not respected, and where they are almost obliged to live with this fact as an annoyance in everyday life. And everyone seems to find it more or less normal… In many neighborhoods, women are limited to certain areas (the foyer, the exit from school …) and virtually absent from others, such as sports venues, or places of entertainment. Is it normal that in some places you cannot find any women in the cafes? There is a misplaced form of morality, often exercised by minority groups over a majority, which leads to the fact that the public space, supposedly belonging to both men and women, is restricted from women”. This was fifteen years ago. Fifteen years later, French ministers feign surprise and outrage that women in these suburbs have finally succumbed to the incessant terror against them and are disappearing from the streets.